Why do we call it “A Detroit Herstory”? The Detroit part is simply because we love Detroit. We are excited, overjoyed, and spilling with ideas to celebrate the history of our proud city though our unique form of storytelling. “Herstory” is a more complex but equally important reason. “Herstory” is defined as history viewed from a female or specifically feminist perspective. A 2011 Florida State University study found that less than 33 percent of children’s books published between 1990 and 2000 featured an adult woman and 7.5 percent feature a female protagonist. We love our city and the women who helped to build it. We recognize that all too often their stories are lost to the mainstream and that can mean they are lost to the tiny ears and eyes who could be most inspired by them. We are proud to introduce you to Rosie, our first Detroit Herstory book. 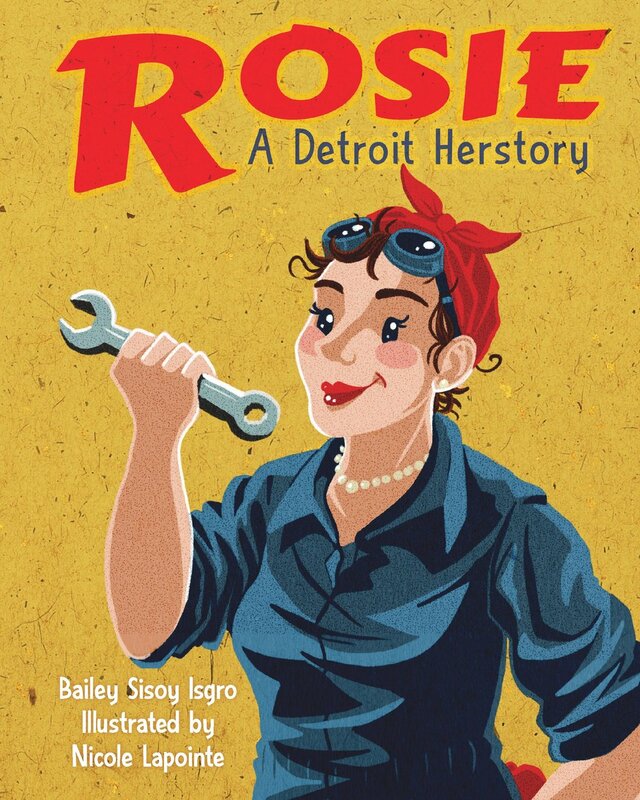 August 6th, 2018, Rosie, a Detroit Herstory, rivets her way into bookstores everywhere. Order your copy today from Wayne State Press, Barnes and Noble, or on Amazon.